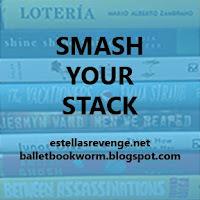 Estella's Revenge: #SmashYourStack Finish Line! That's it, kids! 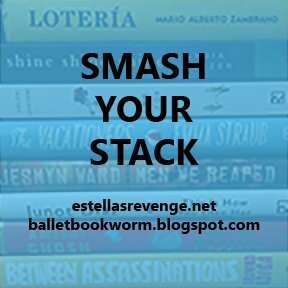 #SmashYourStack, hosted by Melissa and myself, is officially DONE! If you'd like to share your own reading from this event, please link-up below! Wrap-ups, reviews, discussions, all welcome! This challenge was exactly what I needed to really clear out some books from my shelves, and I ended the month with eight of my own books read, one started and still in progress, and five DNFs that will leave my house for good! 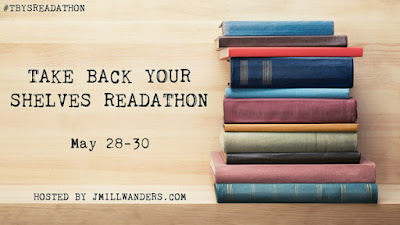 I also have to thank Jenna's TBYSReadathon for giving me an additional push to read in this last stretch of the month. Books marked with * were TBYS books. I have enjoyed reading. 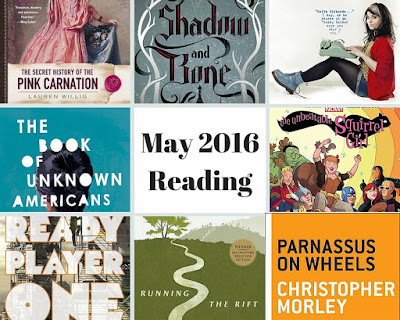 I am not sure how many books I have gone through my stack but I'm glad that I got through my list! You did so good!!! I totally crashed and burned. I DNFed Little Bee, too! Glad to know I'm not alone. Little Bee didn't work for me either! I am so happy I am not alone! I almost met my goal, I read two novels, two nonfiction and started a third novel. My goal was six, so...not bad. PLEASE, do this challenge again! Well sh!t. I did a terrible job with this. I don't think I actually finished a single book off my TBR. Too many other things happening with life, I guess. I agree with Darlene - please do this again soon!! !